Professor Zeinabu Davis’ film, Sprits of Rebellion: Black Cinema from UCLA had its world premiere in the Billy Wilder Theater of the UCLA Hammer Museum on November 15. Over 175 people attended the screening, including many of the filmmakers and scholars that appear in the film. Five years in the making, Zeinabu irene Davis’ documentary, Spirits of Rebellion, explores the many paths of UCLA student filmmakers, now identified with the “L.A. Rebellion.” Davis made the film in collaboration with Dr. Andy Rice, a filmmaker, a 2013 graduate of UCSD Communication, and an Aspire Fellow at UCLA. The documentary traces the filmmakers who attended UCLA’s film school between the Watts uprisings of 1965 through the Rodney King rebellion of 1992. These filmmakers who became known as the LA Rebellion were primarily but not exclusively Black, and they helped to change media representations and offered alternative ways and means of producing media that reflected the lives of the communities where they came from. Some of the key filmmakers of the movement are Charles Burnett, Haile Gerima, Jamaa Fanaka, Julie Dash and Davis herself. The film highlights the works of these makers, but also includes the work of many lesser known makers, especially women media artists. 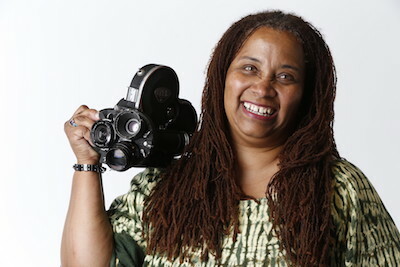 The film was a centerpiece of a two day symposium at UCLA on the histories of Los Angeles in moving image, “This is the City: Preserving Moving Images of Los Angeles.” The documentary includes interviews with Charles Burnett, Ben Caldwell, Julie Dash, Haile Gerima, Barbara McCullough, Jamaa Fanaka and many others. Davis’ film demonstrates how these independent Black filmmakers created a movement. Convening these artists for a review of their experiences as students and fellow filmmakers, and working with them to powerfully historicize their legacy on film and in society, Davis creates a moving document and an important extension of their story. The film has been invited to be a part of the Pan African Film Festival in Los Angeles in February and plans are being made to have the film screen on campus at UCSD in Winter 2016.